This PDF 1.2 document has been generated by TeX output 1995.04.17:1016 / dvipdfm 0.13.2c, Copyright © 1998, by Mark A. Wicks, and has been sent on pdf-archive.com on 02/03/2013 at 17:21, from IP address 212.79.x.x. The current document download page has been viewed 956 times. File size: 183 KB (16 pages). new data necessary for advances in emotion and cognition theory. wait for him. Perhaps you swear off future promises like these. response greatly affects what happens next. extent, politicians, know that it is not laws that exert the greatest influence on people, but the drumbeat to which they march. of emotions is marginalized at best. them? To feel contempt for any living thing? or even into the business of building “emotional computers”. which they return to the limbic system for a determination of whether the highly-transformed, multisensory input is salient or not. .
Error  identifies several non-limbic regions which affect emotion, and surprisingly, its role in reason. to function as rational decision-making human beings. reason. The topic fills philosophy books and fuels hot debates. won the hearts of the audience. Measured by the Oberist-Ketty xenon technique. more naturally with computers that recognize and express affect. some private piano lessons from a computer. learner’s sense of self-propelled learning. the affect expressed by the teacher. the new boots breaking in your feet, learning will be two-way. someone’s emotional expression, but also their emotional state. expression, and other aspects of our so-called body language. in all teaching and learning interactions. progress. “Am I holding your interest?” it would consider. might slow things down and give you encouraging suggestions. key, or the need to prompt for more information. personalized guidance as you explore. can be communicated. This class of qualities is referred to commonly as emotions. the womb, as well as on newborns, has yet to receive an explanation with which all scientists agree. limbic structures are not sufficient; prefrontal and somatosensory cortices are also involved. you grab my clammy hand. between emotion and physiological response, most writers accept a physiological component in their definitions of emotion. as a carrier for communicating our sentic state. facial expression. For example, some people might not feel appropriate expressing disgust during a laboratory study. aroused without cognitive appraisal , . the reader to revisit them in their original context. cuss how these parameters might be manipulated to give computers the ability to speak with affect. Let me briefly clarify some terminology – especially to distinguish emotional experience, expression, and state. I use sentic state, emotional state, and affective state interchangeably. or “sentic modulation” helps others guess your emotional state. various motor outputs: a smile, tone of voice, etc. transient pressure of a finger during voluntary sentic expression. muscle of lust, muscle of disdain or doubt, and muscle of joy. measurable muscles and an emotion space. Ekman , making the computer faces seem more human. emotional state, and any slight variations. letter. Spoken communication is greater than the words spoken. upon voice synthesizers to communicate verbally . believe they are feeling a certain way, we are not easily deceived. play by a genuine feeling, by an agreeable emotion. cracks a funny joke, then a natural two-sided smile appears . but will not smile when they feel a positive emotion. – Paul Ekman, in . but these claims are unproven. for emotions have been commonly proposed. does not interfere with the ideas I present below. pure states, e.g., melancholy is a mixture of love and sadness. strives for purity of expression, one moves closer to a pure state. in how you stand, walk, gesture, or otherwise behave. speakers how to arouse different emotions in his or her audience. understood, and with what goals it is used. access another’s thoughts or feelings. Perhaps this willingness may also be induced, ad infinitum. repertoire of emotions than cogitating adults. emotions, but has not suggested any models. spaces, capturing the dynamic aspects of emotion. state can be set up as a supervised classification problem, i.e. recognition and learning techniques are available , . states best explains the observations. and can transition between states with certain probabilities. of moving from a distress state to a joy state. individuals, the problem of universal categories does not arise. HMM’s can also be adapted to represent mixture emotions. B back to A will be proportional to the forwards rate. you have to find a way to credit A for B, directly. Ultimate Computer,” from Star Trek, The Original Series. with remorse, finally surrendering the ship to Kirk. computing are much less sinister than the one that follows. But with this flexibility, intelligence, and creativity, comes unpredictability. Unpredictability in a computer, and the unknown in general, evoke in us a mixture of curiosity and fear. the frontal-lobe patients of Damasio. Crewman: “Well he acts like he has genuine emotions. are neither personal nor friendly. although it is still in its infancy. affect, and being driven by emotion. which pilots and others in life-threatening jobs are subject to. important even without the amplifier of affect. “personal” and “user-friendly” computing. It does not imply that the computer would be driven by its emotions. someone who finds that people misunderstand his expression. contrast, his computer can provide ongoing personal feedback. this won’t be possible; but, if it is a possibility, then the computer should not be able to hide its feelings from us. computers” take us beyond the scope of this essay; these possibilities are not included in Table 1 or addressed in the applications below. questions lead outside this essay. Should they fear only their maker’s maker? at least a few appropriate affective states. modes of expression available to the performer. essential part of being entertained. something more fundamental in this crowd-arousal process? makes one experience pleasurably more engaging than another? subjects indicating that the experience of “sentic cycles” produces a variety of therapeutic effects. expand our emotional dynamic range. purest inner form produces beautiful results. have never been measured or understood before. people listened to seven performances of Mozart’s sonata K330. do we teach the computer which parts look “best” to extract? index for retrieval of data. themselves misunderstood at some point – their comments received with the wrong tone. less information than a phone call. temperature, and pulse, all observations which may be combined to identify emotional state. essentic form, the more powerful its ability to persuade. Perceptual and cognitive computing have been largely concerned with measuring information in the first and second categories. Affective computing addresses the third. Stewart Brand’s book “Buildings that Learn”  emphasizes not the role of buildings as space, but their role in time. hence may not recall what was actually felt. communicate this essentic form – color, texture, and other features may work collectively. to find a universal form, to consider another scenario. rules, but it is not the rule, not universal a priori. have attempted to describe and explain artistic phenomena. arrangement that will indicate its beauty and appeal? your eye – “my friend would love that pattern!” you think. universal predictor of what everyone would like is absurd. the object – garment or artwork, that influences our judgement. But what functions of appearance should be measured? “aha” that fires when they’ve got it right. how these alone will influence the experience of the observer. provoke attention, interest, and memory. pleasure without the pixels and lines and notes and rhythms. the greatest music in the world after he could no longer hear. physical, perceptual, and cognitive arousal. catalogs at night, helping us shop for clothes, furniture, wallpaper, music, gifts, and more. a key role in better aesthetic understanding. Perhaps by having a “society of models” that looks for similarities and differences, as in. and listen to our intonation. in your step, and more, in an effort to better understand you. these personal clues of your emotional state to anyone. entirely truthful.” Not only would we quickly find out how reliable polygraphs are, which usually measure heart rate, breathing rate, and galvanic skin response, but imagine the implications for communication (and, perhaps, politics). the young and the old . walk on the way to your car (perhaps sensed by affective sneakers) tell the digital disc jockey to put on happy tunes? from complete. In some ways, one might even say it is stuck. in human diet, exercise, activity, and mental health. See  for a discussion of emotions and stress. Emotions have a major impact on essential cognitive processes; neurological evidence indicates they are not a luxury. to at least recognize and express affect. available which would yield clues to one’s hidden affective state. I have proposed some possible models for the state identification, treating affect recognition as a dynamic pattern recognition problem. to human health and well-being. respect for humans, their thoughts, feelings, and freedom. R. E. Cytowic, The Neurological Side of Neuropsychology. Cambridge, MA: MIT Press, 1995. To Appear. Cognition, vol. 49, pp. 1–9, 1993.
and public speaking, by L. Cooper. (Boston, MA), pp. 72–78, April 1994. E. D. Scheirer, 1994. Personal Communication. vol. 83, pp. 68–78, Jan.-Feb. 1995. B. W. Kort, 1995. Personal Communication. 1990. Series of selected papers. Measurement of Emotions, Academic Press, 1989.
opened my mind to consider the role of emotion in perception. R. B. Zajonc, “On the primacy of affect,” American Psychologist, vol. 39, pp. 117–123, Feb. 1984. 1990. Reprinting of original 1862 dissertation. P. Ekman and W. Friesen, Facial Action Coding System. NY: G. P. Putnam’s Sons, 1993.
vol. 100, no. 1, pp. 68–90, 1993. K. Leidelmeijer, Emotions: An experimental approach. Int. Workshop on Face and Gesture Recognition, to Appear. 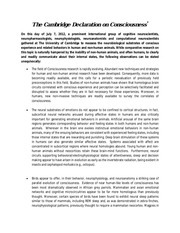 Perceptual Computing, Cambridge, MA, 1994.
of Series D: Behavioural and Social Sciences, (Netherlands), pp. 287–320, Kluwer Academic Publishers, 1988. Mind, vol. LIX, pp. 433–460, October 1950. I. Asimov, The Bicentennial Man and Other Stories. Garden City, NY: Doubleday Science Fiction, 1976. Part of Descartes’ Principles (1692), Translated by: P.
Schrecker and A. M. Schrecker. M. Clynes, 1995. Personal Communication. R. E. Cytowic, 1994. Personal Communication. B. Reeves, “Personal communication, MIT Media Lab Colloquium,” 1995.
and M. P. Friedman, eds. ), vol. X, (New York, NY), Academic Press, 1978. B. Burling, 1995. Personal Communication. built. New York, NY: Viking Press, 1994. No. 3 &amp; 4, 1992. Manheim from the German ‘Das bildnerische Denken’. A. Tarkovsky, Sculpting in Time: Reflections on the Cinema. London: Faber and Faber, 1989. ed. by K. HunterBlair. Markov models,” IEEE ASSP Magazine, pp. 4–16, Jan.
 S. K. Langer, Mind: An Essay on Human Feeling, vol. 1. Baltimore: The Johns Hopkins Press, 1967. Proc., vol. 2094, (Boston), pp. 756–768, Nov. 1993. L. A. Camras, “Expressive development and basic emotions,” Cognition and Emotion, vol. 6, no. 3 and 4, 1992. M. Clynes and N. S. Kline, “Cyborgs and space,” Astronautics, vol. 14, pp. 26–27, Sept. 1960. C. W. Therrien, Decision Estimation and Classification. New York: John Wiley and Sons, Inc., 1989. N. Gershenfeld and M. Hawley, 1994. Personal Communication. Brain and Self-Organization (K. H. Pribram, ed. ), Erlbaum, 1994.
food. New York: Rawson Associates, 1986.
costs,” Operations Research, vol. 26, pp. 282–304, MarchApril 1978. Stress. New York, NY: W. W. Norton &amp; Company, 1984. W. S. Lovejoy, “A survey of algorithmic methods for partially observed Markov decision processes,” Annals of Operations Research, vol. 28, pp. 47–66, 1991.
of Operations Research, vol. 32, pp. 215–230, 1991.
processes.” PhD Thesis Proposal, 1995. This file has been shared by a user of PDF Archive. Document ID: 00094239.